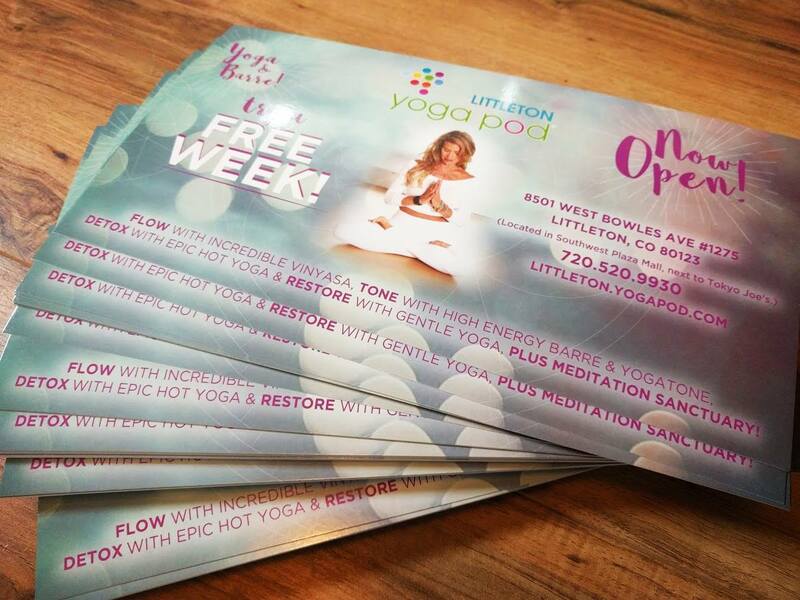 We collaborated with the Yoga Pod in creating a direct mail campaign that targeted the surrounding neighborhoods. This new location needed to expand awareness of the studio; we helped with the printing of their large and vibrant postcard. We also helped with the direct mail process to ensure that it was devoid of stress or hassle. We help with ongoing design and print needs — this includes printed yoga class schedules, special master class postcards, upcoming event marketing pieces and more.